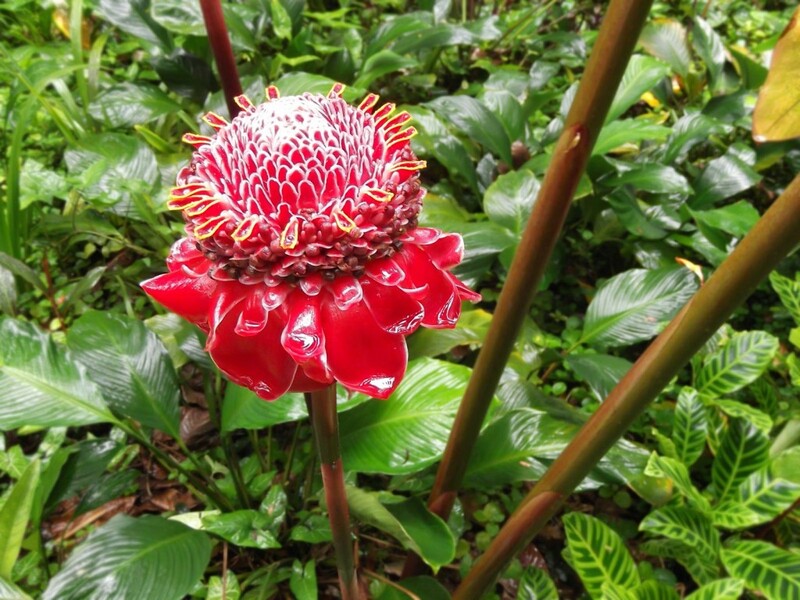 A Red Torch Ginger, also known as Porcelain Rose or ‘Awapuhi in Hawaii, stands tall in the Hawaii Tropical Botanical Garden. Torch Ginger is used throughout Southeast Asia in foods like salad and fish. The leaves are sometimes used in antibacterial and antioxidant treatments. In Hawaii they are used in landscaping, particularly at restaurants and hotels.